Memories by AmyInKy: Thanks, dear friend!!! Last month I received a surprise package from a friend just to tell me "thanks". I am the one that is thankful now! 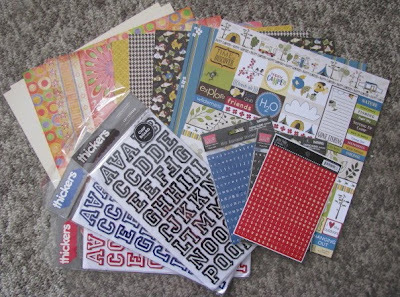 I loved the Bella Boulevard papers and all the alphabets! She knew I had a new baby niece and even included some baby girl papers, too. 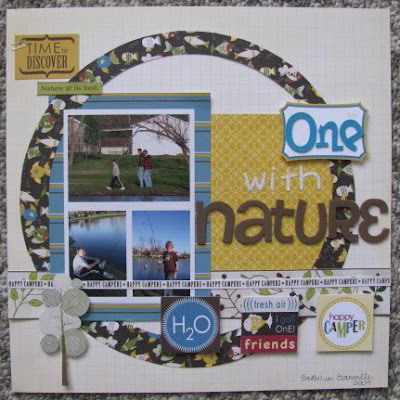 I quickly got to work using the Bella Boulevard papers and I LOVE the three layouts I made with them. 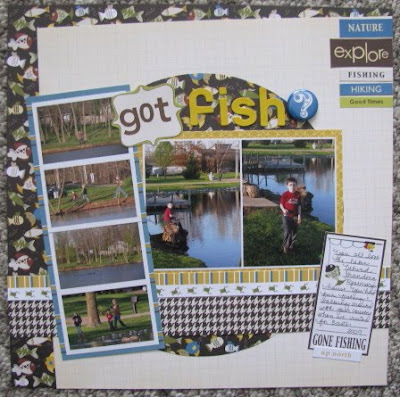 They worked perfect with pics from fishing at my mother-in-law's on Easter. For the LO I did for Blake's album, I used sketch #16 from 52 sketches 52 weeks. The LO for Kevin's album uses bits and pieces from different sketches that I wanted to use. 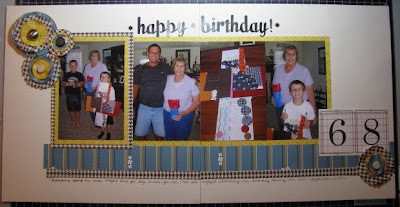 Finally, I used my scraps on a 2-page LO for Kevin's album celebrating his Grandma Rosemary's birthday last month. I made the layered patterned paper flowers myself. Although I loved my new supplies, friendship is the best gift of all.